BOP ON TREND: Old School. Believe it or not, this blazer is vintage. Vintage as in I got it in high school and vintage as in I bought it from Abercrombie way back when Abercrombie may or may not have dictated my entire wardrobe. Of course I liked to add my own bits and pieces to the brand's staples, like pairing argyle knee socks and a rugged pair of Birkenstock's (remember those!?) in order to separate myself from the sea of A&F clones, and while it has been years since stepping foot into A&F's doors, whipping this piece out for Easter Dinner made me realize how much their quality has diminished since my A&F sporting days. 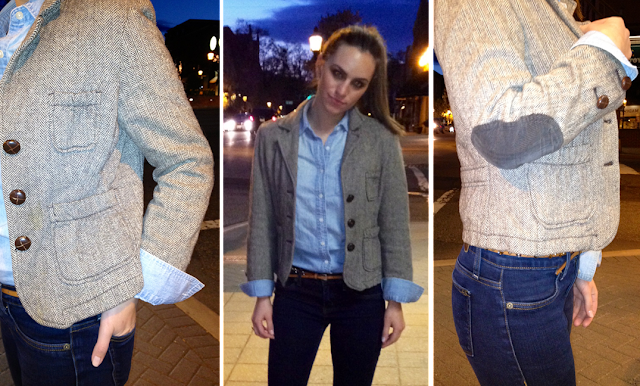 The intricate detail of this blazer à la corduroy elbow pads and wooden buttons screams classic. So much so that practically 10 years later I can still wear it as a light jacket. 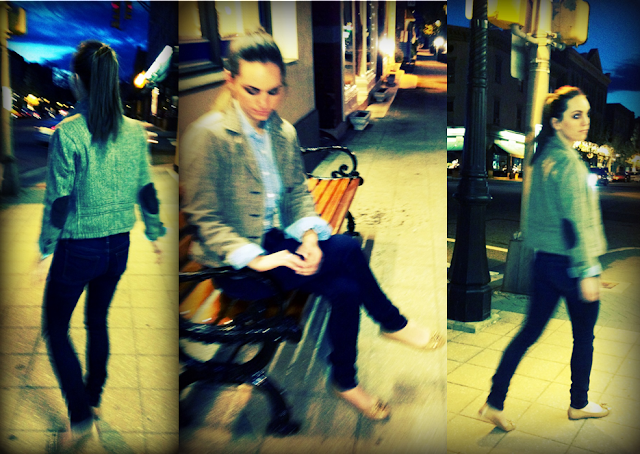 As you can see, I decided to take my Aaden Flats for another spin around town. Follow-up: I think I have finally broken them in! I love your outfit, and especially those shoes! Great post and lovely blog! Thank you :) and thanks for stopping by! The blazer is awesome! I love it :) And those pants look super cute on you girl! Love this preppy look! very chic yet comfy! Your Tory Burch flats are super cute! Thanks Alex! If you'd like, let's follow one another :) checking out fashion-bridge now! Love the elbow pads! Following you, dear! Check my blog and if you like follow me on BLOGLOVIN.